Alfa is listening to its customers on this one. 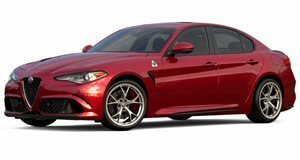 The Alfa Romeo Giulia and Stelvio Quadrifoglio models are . Both are powered by a 2.9-liter twin-turbo V6 producing 505 horsepower that's derived from the V8 engine out of the Ferrari California T. As you'd expect, this engine sounds pretty good at all times but Alfa's dual-mode exhaust makes it even louder. If we owned a Giliua or Stelvio QV, we'd constantly drive around with the exhaust mode in its loudest setting so we could hear that wondrous V6. There's just one problem with that idea - the loud exhaust mode is only available in the most aggressive Race Mode. This creates an issue because Race Mode stiffens up the suspension and the gear shifts, making the car quite uncomfortable for everyday driving. 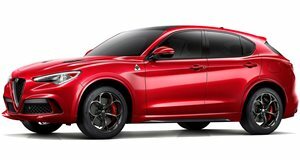 Owners have been asking Alfa Romeo for a method to switch the dual-mode exhaust on or off independent of the drive mode and it seems like the Italian automaker has been listening. Alfa's DNA system has different modes for Dynamic, Natural, Advanced Efficiency plus a Race mode on the QV models. Dynamic Mode is much softer than Race Mode, so owners will now be able to enjoy a louder exhaust setting without making the car too uncomfortable. This update only affects QV models moving forward, the company has no plans to update existing cars. However, we're sure an aftermarket company would be perfectly capable of playing with the ECU settings and allowing the car to open its exhaust baffles in other drive modes. The Stelvio QV is a bargain considering the absolutely outlandish performance you get paired with SUV utility.